Mount Cho Oyu is the 6th tallest mountain on the planet. 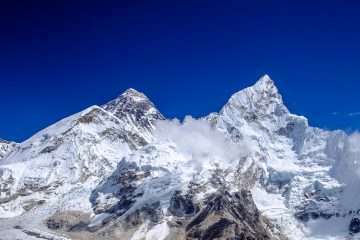 It’s only the mountain over an altitude of 8000 which has such a high success rate and situated between Nepal and Tibet but require a permit to climb this beautiful peak known commonly as the Goddess of Turquoise. 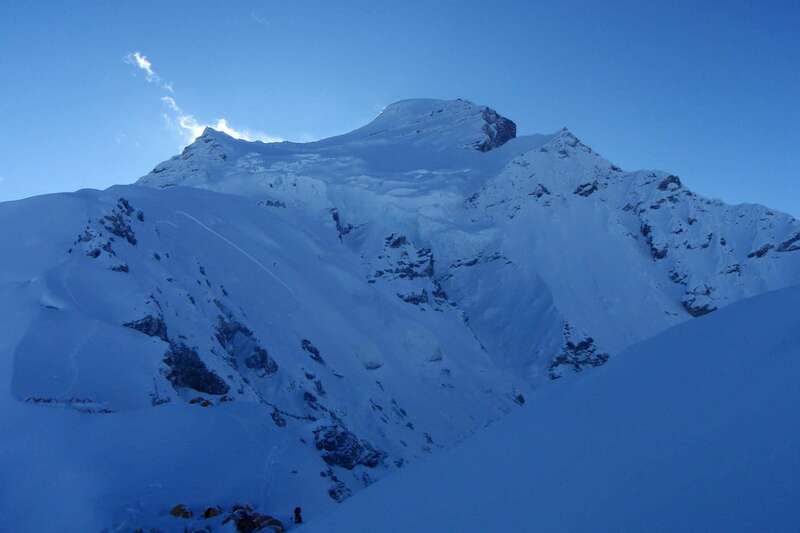 This beautiful peak is climbed by many, owing to its easy climb and low fatality rate. 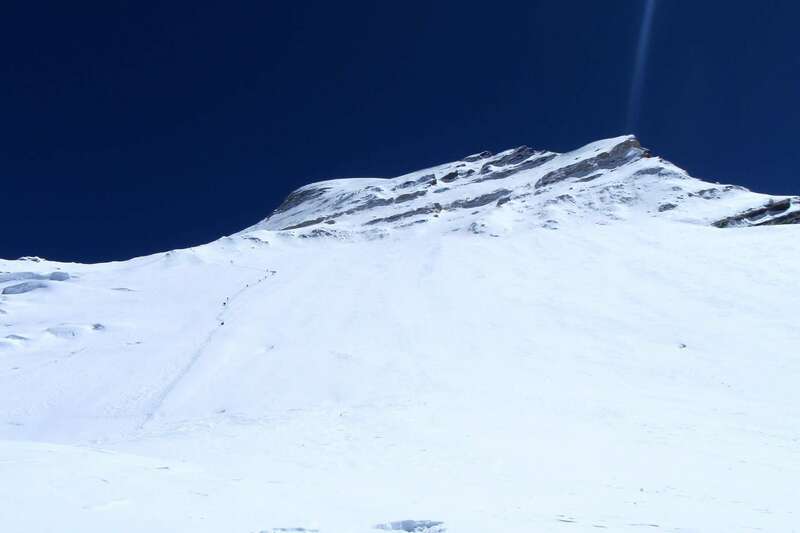 The best route adoption the Northern route via the North West face for Cho Oyu Expedition Tibet face, an altitude of 8201 m, the climb up to the Cho Oyu. It can’t merely consider as a demanding, but apparently, acclimatization and proper physical condition are mandatory. The Cho Oyu Expedition Tibet Face commences a flight from Kathmandu to Lhasa. 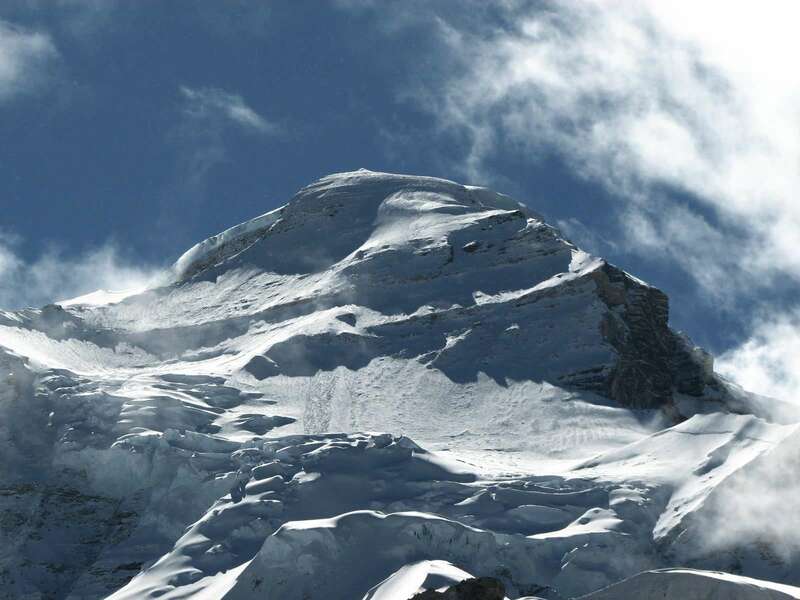 It lies at the height of 3600 meters since it is the base for acclimatization for the Tibetan plateaus. From here, a drive to the Tibet’s largest city, Singatse and a further drive to Xegar, at an altitude of 4000 m, with its beautiful monasteries. Acclimatization is mandatory here as well as to reduce the effects of altitude sickness. Furthermore, a drive is up to the Chinese Base Camp which leads to the Cho Oyu Base Camp. The elevation is 5200 m from sea level as well as acclimatization. The climb is processing which needed frequently. 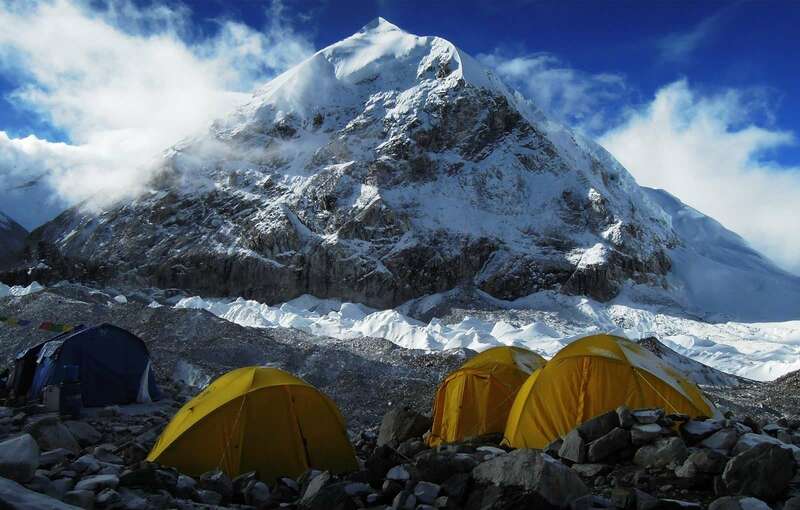 Then up lays the Advanced Base Camp at 5700 m situated near the Nangpa – La. Himalayan Exploration provides above mentioned all camping equipment, and gears include the tents (dining, toilets and kitchen tents). We will have a giant mess tent well equipped with all necessary kitchen utensils at the base camp while good quality and healthful foods will serve by our trained and experienced expedition cook. The cook will prepare the menu to maintain the recipe for calories. Besides, for the different taste, the cook will serve verities of food. Prices are quoted and payable only in (US$ dollars). All published cost on our website is set as low as possible. The Prices may vary at any time due to currency fluctuation, fuel prices, and unforeseen economic circumstances. However, we guarantee our prices which already signed up for your tour. Please consult us for a custom quote. 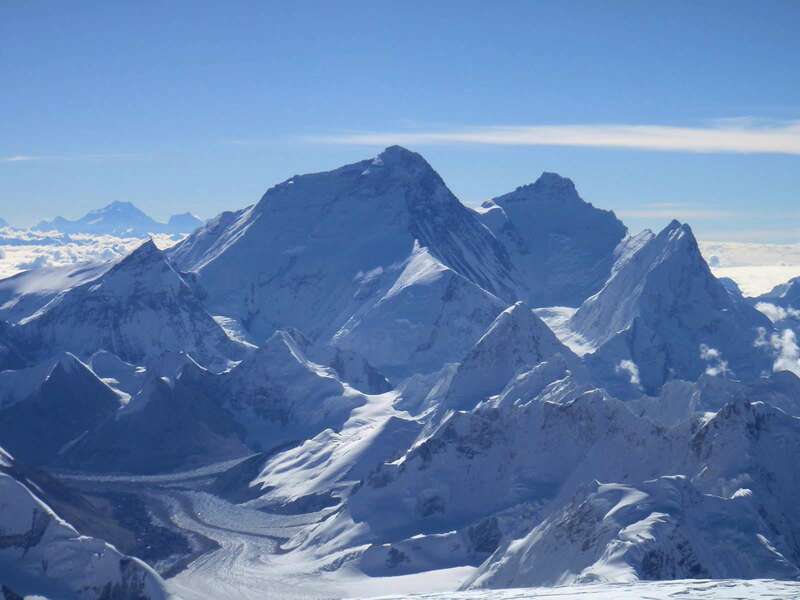 Today, we are making preparation for Cho Oyu Expedition and sightseeing. While the leader attends a formal briefing in the Ministry of Tourism, we will explore the fascinating city of Kathmandu. We will visit famous Stupa, Boudhnath and the popular Hindu pilgrimage site, Pashupatinath Temple. In the late afternoon, the leader will check everyone’s equipment before flying to Lhasa. Chinese Visas for entering Tibet will be acquired from the Chinese Embassy in Kathmandu. We will also get introduced with support expedition members and guides. Today, we fly to one of the highest capitals in the world: Lhasa of Tibet. We savor the extraordinary views of the Himalaya, including Everest, Makalu and Kangchenjunga, and the Tibetan valleys. Upon our arrival in Lhasa, we will be greeted and escorted to a good standard hotel in downtown Lhasa. We make Lhasa our base for acclimatization to the high Tibetan altitude. While we acclimatize with the high altitude, we also visit important landmarks in Lhasa including the Dalai Lama’s Potala Palace. Lhasa life certainly offers glimpses into one of the most preserved ancient cultural heritage. Today, we depart Lhasa for Shigatse, the Tibet’s second largest city. We even reach to the banks of the Tsang Po, which becomes the Brahmaputra River in India. We further drive up-stream for a while before turning southwest through barren desert-like valleys. Overnight stay in a Shigatse hotel. While continuing along the Tibetan highway views of the Himalaya unfold with a spectacular panorama of peaks including Everest. We stay overnight in a hotel outside the main town of Xegar. If time allows, we pay our visit to the downtown Xegar and its hilltop monastery. We acclimatize well before gaining height toward the Chinese base camp. At this juncture, we visit the main town and engage in a gentle hike up to its hilltop monastery. We further continue our drive to the Chinese base camp. While turning south along the bumpy track, the road leads us to the road-head below Cho Oyu. Today will be an important day for sorting out all loads. Yaks arrive in the afternoon. Yaks carry our loads to the base camp the next day. We resume our trek up the long valley to base camp. For proper acclimatization, we spend three nights at intermediate camps at 5,200 and 5,450 meters before continuing to base camp. Move into the base camp. We engage the afternoon organizing climbing equipment for use on the mountain. At this juncture, we try the lower part of the mountain on the first day. We try to get as high as possible and have a good look at the route and the conditions on the mountain. At the evening, we return to base camp. 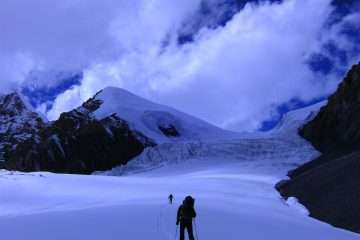 After proper acclimatization, we climb higher and reach Camp 1 and camp 2. Upon arrival at these sites, we make our best attempt for the summit bids after a good period of rest at base camp. Return to the base camp by day 40. Next, we return trek to the road-head with yaks carrying our equipment. Upon this trek, road transport awaits us. We spend the last night in tents. The two days of road travel give passage us to Kathmandu. We drive for Zhangmu on the first day and cross the border into Nepal. Another 6 hours drive from the border all the way escorts us to Kathmandu. Upon arrival in Kathmandu, we will return to the welcome haven of the Hotel. Once back in Kathmandu, Himalayan Glacier will host an evening barbecue to celebrate the expedition and as a farewell party to thank the Sherpa’s for their support and friendship. The leisure day just rest, relax and last minutes shopping if necessary.